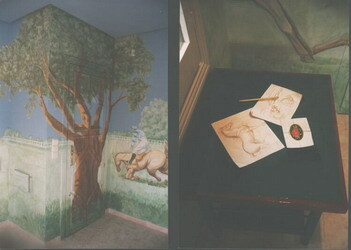 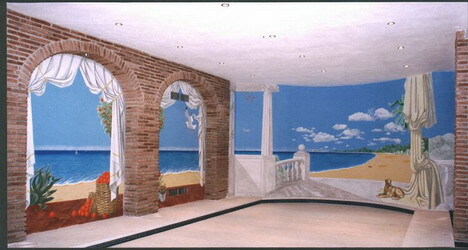 An indoor swimming pool (covered, bottom center) painted on three windowless walls to brighten the room up. 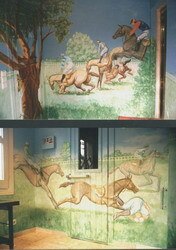 In this room, which houses a sauna & Jacuzzi, I painted a continuous mural around all four walls of the Grand National steeplechase. 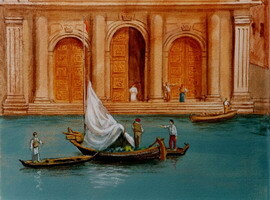 Acrylics with a tough waterproof varnish to survive the humid atmosphere. 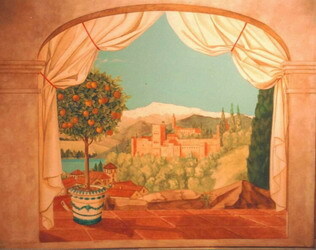 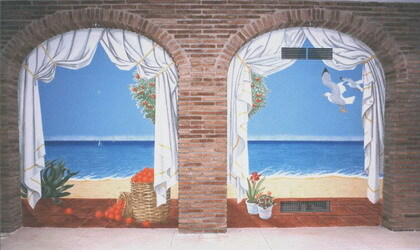 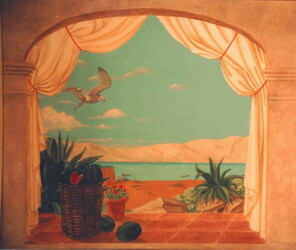 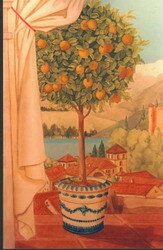 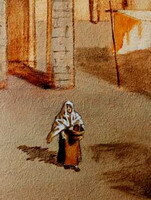 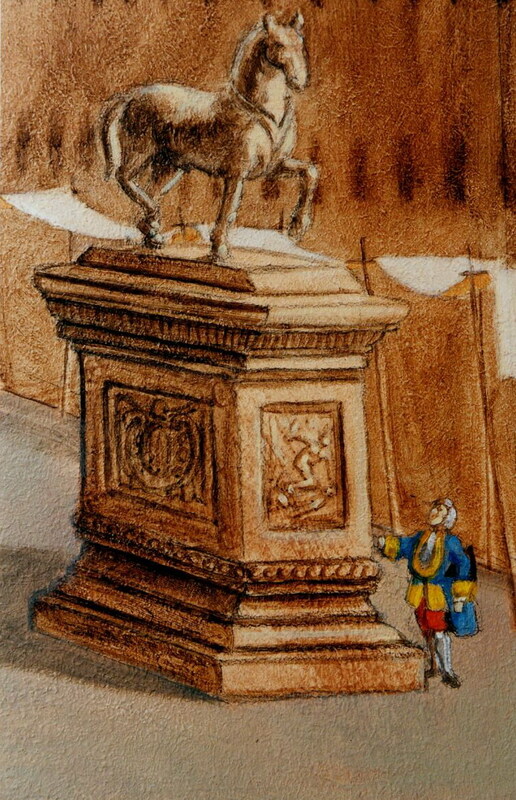 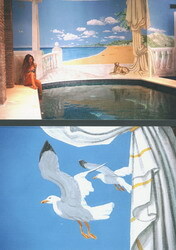 The mural, based on paintings by Canaletto, covers the four walls of the bathroom. 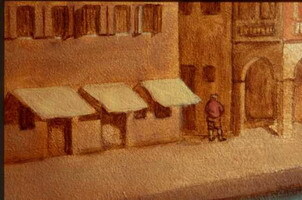 Acrylics, oil paints & an industrial varnish.